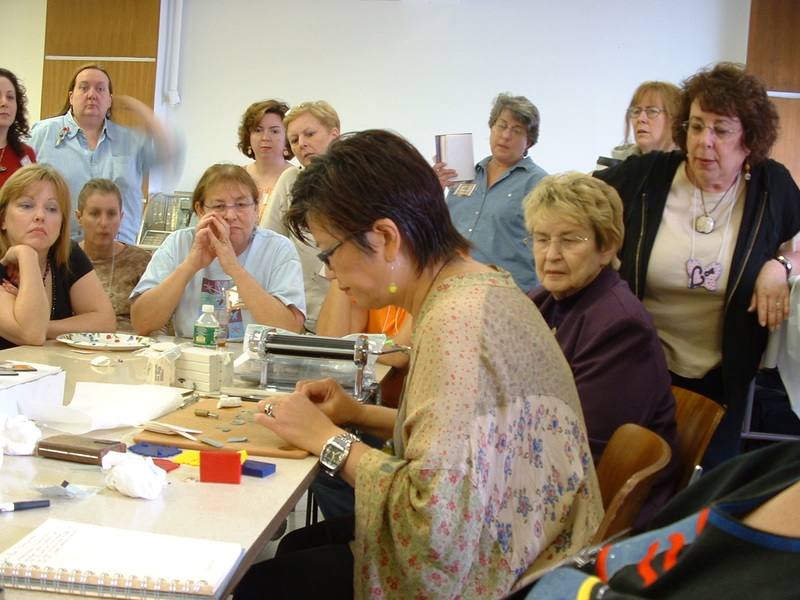 We had a wonderful September meeting with Donna Kato as our guest artist. I put a bunch of pictures up on our Flickr site. If you want to see them, press Here. My article on silk screening on polymer clay just came out in Polymer Cafe magazine. Thanks to Sarah Fisher for the beautiful picture that graces the first page. If you want to learn a little more about silk screening on polymer clay and see a little slide show, go to my Blog, Ornamento .